The development, first reported by Duke Check, follows a 60 Minutes segment last week focused on Potti and Duke. Duke Check also noted that a Myrtle Beach PR firm had promised a statement later today. We called the oncology practice, who refered us to LHWH Advertising and Public Relations of Myrtle Beach. The PR firm tells us we’ll be getting a statement at about 2 p.m. Eastern, so check back here. February 21, 2012, Myrtle Beach, S.C. – Dr. Anil Potti, MD is no longer associated with Coastal Cancer Center of Myrtle Beach, S.C. Dr. Potti, who saw patients primarily at Coastal Cancer Center’s Loris, S.C. and Brunswick County, N.C. facilities, served his final day on Feb. 21st. Potti originally joined Coastal Cancer Center as an oncologist in March 2011. Coastal Cancer Center conducted a deep and thorough investigation of Potti’s credentials before hiring him. Potti received numerous letters of strong recommendation from key members of the medical community at Duke University where Potti had worked before coming to the Grand Strand. “We received glowing references about Dr. Potti’s character and skills from the highest ranks of the Duke University School of Medicine and Duke University Medical Center,” said Holt. 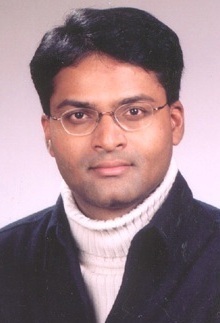 “We were assured by Duke Medical’s leaders that Anil was ‘outstanding in all categories,’ ‘had excellent clinical skills’ and that he had conducted himself at Duke with ‘honesty, integrity and humility.’ One Duke University director even went so far as to say he would be pleased to have Dr. Potti as the treating physician ‘if my own family had unfortunately contracted a cancer.’ Letters of recommendation came in from the chief of Duke Medical’s Division of Medical Oncology, the Chair of the Department of Medicine, the Director of Hematologic Malignancies Program, and several professors. Letters of recommendation came in from the chief of Duke Medical’s Division of Medical Oncology, the Director of Hematologic Malignancies Program, and several professors. Dr. Holt and other Coastal Cancer Center physicians will personally assume the care of of Dr. Potti’s patients. More information about Coastal Cancer Center is available online at http://coastalcancercenter.com. Really? Someone should make sure the Coastal Cancer Center has a subscription to The Cancer Letter. Wouldn’t hurt if they kept up with Retraction Watch, either. February 28, 2012, Myrtle Beach, S.C. – This Media Advisory is to correct an error reported in a press release entitled “Coastal Cancer Center Of Myrtle Beach Ends Relationship With Dr. Anil Potti” that you received on February 22. In a sentence regarding letters of recommendation received from various Duke University personnel, it was incorrectly stated that a letter was received from the Chair of the Department of Medicine. In fact, the recommendation letter was sent to the Chair of the Department of Medicine from an Assistant Professor of Medicine at Duke University Medical Center. We’ve made the corrections above using a strikethrough. The confession comes several days after the South Carolina Board of Medical Examiners admitted they erred in listing Potti’s medical license as “suspended” for a few hours last week. Nicely written, Ivan Oransky. I’ve provided links to this Retraction Watch article at the websites of some of the media outlets disseminating this press release. I thought this extract from David Wren’s recent story regarding Anil Potti was informative. …..Potti has said it would be inappropriate for him to comment on the matter. Potti called the fraudulent research at Duke University “a past controversy” in a letter he sent to the S.C. medical board with his license application. Potti also hired a firm that specializes in creating positive websites for customers to crowd out negative information that might come up during an Internet search. Potti’s biography on the Coastal Cancer Center website also has no mention of the controversy. Potti has had other problems in North Carolina in addition to the manipulated research data. He claimed to be a Rhodes Scholar on his resume at Duke University, which university officials later learned was false. The N.C. Medical Board reprimanded Potti in December for including multiple inaccuracies about awards he purportedly won and other accomplishments on his resume and Duke University biography. The N.C. board’s website also shows Potti had 11 malpractice claims filed against him between November 2007 and June 2009 and that he is the focus of a medical research misconduct inquiry by Duke University. None of that information, however, is available on the S.C. Board of Medical Examiners web site……. Were these people lost at sea for the last year or two? How in the hell did they not know about this guy? You would think it would raise some red flags if some hot-shot Duke faculty member wants to suddenly start working at your little cancer practice. Unbelievable. I think I’ll try it on “puzzled monkey” now. Finally, he was described as having “humility” but that doesn’t quite fit with his hiring a PR firm to whitewash the allegations of data manipulation. When I used Google with the phrase, “Anil Potti” about 7 hours ago, I noted that web links that are connected with his self-promotion were about 50% of the top 100 links. The coveted top 5 links were connected with his PR effort. While the “Retraction Watch” followers understand what is really going on, do you think that people who are not familiar with the story might be influenced by the PR spin? We don’t know how the google results would have looked like a year ago, but if it had a similar result, it would actually make me very suspicious. I expect the top results to be a homepage at your current employer, a linkedin-profile, a facebook-profile, not various self-promotion sites. One blog perhaps, but not three. Update: At 6:24 AM EST on Thursday 23 February, there were approximately 80,700 results to the Google query “Anil Potti.” Now, Potti is down to only the top 4 links. Here is the 6th link. ….In a separate interview, clinic public relations spokesperson Lei Gainer declined to say if Potti was fired or left on his own accord. Potti could not be reached. A South Carolina phone number for him is not publicly listed. He had been with the center since March. Potti’s story, featured during a Feb. 12 segment of the CBS news show called “Deception at Duke,” was a continuation of the scrutiny that drove the oncologist from the school in 2010. In the report, Potti’s cancer investigation claims weren’t only described as a failure, but also possibly “one of the biggest medical research frauds ever.” He also faced accusations of falsifying his resume. The segment caused a number of people to contact the Coastal Cancer Center with comments and questions in the show’s aftermath, the statement said. “It has become obvious that this issue is going to take precious focus away from patient care,” Lawrence B. Holt Jr., president of Coastal Cancer Center, said. Potti’s final day was Tuesday. He joined the staff as an oncologist in March 2011. He primarily saw patients at the center’s Loris and Brunswick County, N.C. locations. Potti’s troubles have been chronicled for some time. His downfall at Duke is traced to two events, including a claim to be a Rhodes Scholar, later proven false, among other resume embellishments. A larger investigation centered on the scientific integrity of his cancer-treatment research. It focused on the possibility of physicians using information about a patient’s genetic makeup to help decide the best course of treatment…. There is in Potti’s tale as in so many of the Retraction Watch stories the pale cast by that sin of pride the Greeks called hubris. You don’t (generally) see evil people doing evil things as much as prideful souls overstepping themselves and in so doing self-destructing. What I find interesting is how susceptible the modern researcher is to becoming hubristic. You might some time Ivan think of putting together a movie script not based on the actions of a particular person but rather on the psychological reality that the drive to discover new and unknown truths is itself a manifestation of modern humans’ collective hubris and as such seemingly inevitably leads to the falls you document. NEVER rely on a single letter of recommendation, especially if the letter is dithyrambic. Ask for 5 letters, or better, no letter at all. “Letters of recommendation came in from the chief of Duke Medical’s Division of Medical Oncology, the Chair of the Department of Medicine, the Director of Hematologic Malignancies Program, and several professors”. Best to not realy on letters of recommendation at all. Fears of legal retribution, combined with nefarious desires to get rid of problem personnel and an honest desires to not hurt anyone’s career, have made the letters useless. Anyone not in on the joke really has no business conducting hires. I have felt and continue to feel sick while following the misadventures of this miscreant here in Retraction Watch and now elsewhere. Here’s to Retraction Watch and all the others out there, bloggers and whistleblowers, whether known or anonymous! The world needs you more than ever. I am sure the duplicitous letters of recommendation and, a medical license in a neighboring state and a job at a Cancer Practice a within driving distance of Chapel Hill (run by a Duke-associated physician) were all part of a negotiated arrangement for Potti to resign. If Potti had decided not to cooperate and insisted on waiting for the final outcome of all of the various misconduct investigations (specifically the NIH/ORI mandated one at Duke that is still ongoing) he would almost certainly still be on paid leave and therefore still associated with Duke while increasing national attention is being paid to the “case”. Unfortunately for both Duke and Potti a year later this has all blown up again and this time I don’t see any way that he’s going to be able to continue to practice medicine at least in this country. Its been mentioned elsewhere that Potti apparently renaged on a requirement to serve as a physician in his native India that was expected from graduates of his medical school. Ironically, going back to satisfy this expectation may now be his only option. if I was over at Dukecheck I would be strenuously trying to find out more about the circumstances and arrangements surrounding Potti’s resignation. @scotus: this is a logical inference, and only slightly paranoid, so I will endorse it. It also infers another side to Potti’s personality which would partially explain how he got his position at Duke in the first place. This would be a scheming or negotiating sort of personality characteristic, I’m not sure what to call it under DSM-IV. Such a personality would be prone to manipulating data, since principles are not valued as much as peer approval. Forensic psychiatry at a distance, yes? @JudyH: You’d think “deep and thorough” would entail checking more than the top 5 google search results. Such enthusiasm makes you wonder, were these people really taken with Potti (is he that charismatic?) or did he make a deal to leave quickly so he could get a nice job (probably paid at least $180K, if not $250K/yr.) instead of having to go back to India in disgrace? Well, at the Medical School I was in for many years (a very prestigious one), it was quite common for candidates to write their own letters of recommendation that the letter writers would then just sign (or have their secretaries sign for them)…. @puzzled monkey: I don’t think returning to India to work as an oncologist is exactly a disgrace. Yes, he will always be a cautionary tale. Yes, he will make less money in US dollar equivalents. But his quality of life is likely to be excellent. Specialist doctors in India live quite well. He may even be able to regain some self-respect and do some lasting good, helping his fellow man in his native country. This is hardly a tragic ending. It seems far from the endgame that I have heard others with far more bloodlust than me wish (prison, suicide) upon this obviously troubled gentleman. Yes, I think that is his best option, he’s been punished enough, and he would not suffer if he went to India. Probably they’d consider what has occurred in the US to be unimportant, possibly even feel that he was harassed unfairly. He’d be helping the people of India and reversing the brain drain. A good career choice, if he will take it. I’m afraid that he would personally feel it was a failure though. So, you think somebody can make up stuff that would have negative consequences for patients AND be a great doctor at the same time? I think this guy’s MO is basically to take the easy way out, and he would do that regardless of the context. Perhaps there is just a mismatch between his aspirations and his talent, after all. Update: Potti’s [medical] license suspended. The ethics of scientific investigation are a little more difficult to adhere to than the mechanics of medicine; that being said, I didn’t say, that he’d be a GREAT doctor…but he might be a good doctor, if he can learn from his mistakes. On the other hand, I had a horrifying thought: what if he started to do research and publish papers in India?